I am the daughter of a skilled carpenter. My dad has been in construction since before I was born. I grew up around woodworking and know a thing or two about it. This made me apprehensive about building a house, but we decided to do so anyways. When we decided to build a house, we didn’t have the land or resources to build on our own. We weighed our pros and cons, priced out building material, and decided our dream home was outside the realms of our current situation. So we went with a local home builder. Bloomfield Homes. A house is only as strong as its foundation, just as in life. 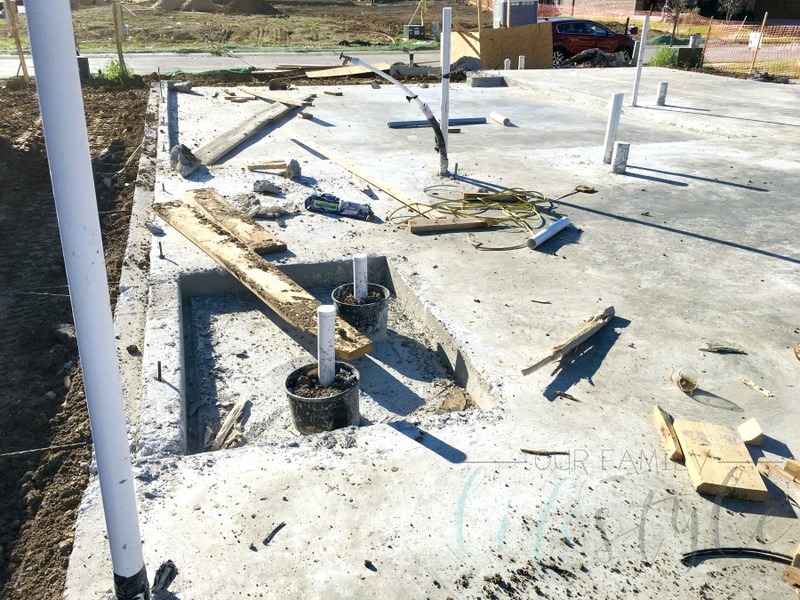 During our first visit to see the foundation and get a feel for the Bloomfield floor plan, we couldn’t figure out why our shower and bathtub in the master bathroom were switched or why we had a toilet in our office closet. These mistakes quickly pushed us three weeks back. We had just begun and already our date of completion was extended. 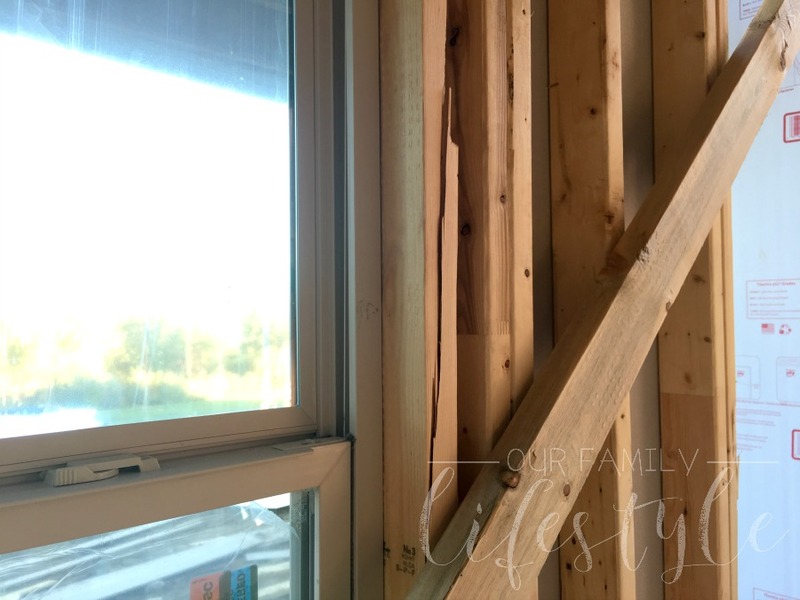 It appears when you ask the contractor, “How long does it take to build a house?” they don’t always allot for their own costly mistakes. Lesson learned. Okay, I may demand a lot, but I am paying out quite a bit of money for a good, sound home. Meaning, I would like the walls to be straight and built to last. Cracked, twisted studs running the length of my roof and walls do not give me that sense of longevity. Large holes in boards meant to hold a floor under my kids’ rooms does not shout “safe” to me. We made them repair or replace every one we saw. 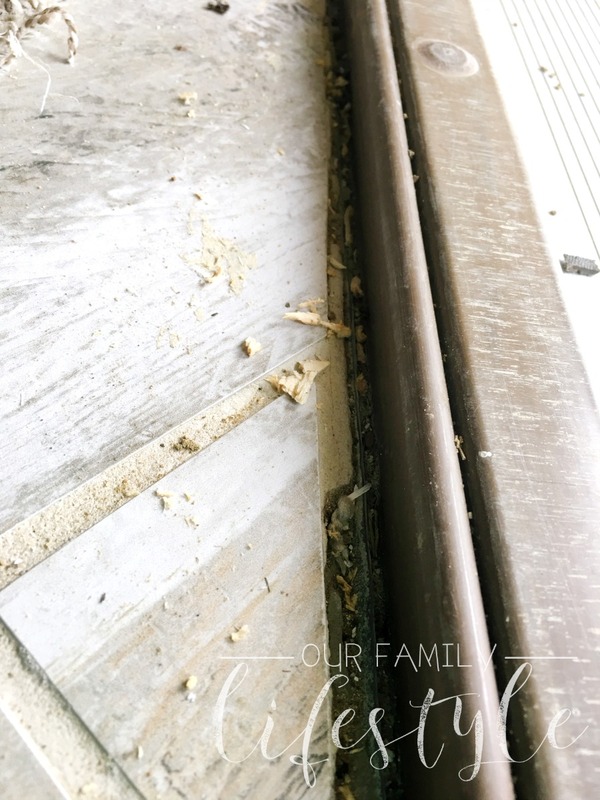 You can see the building materials used by our general contractor were less than superb. Not to mention, when the studs are not flush with the frame of the wall, guess what happens? You get wavy walls. 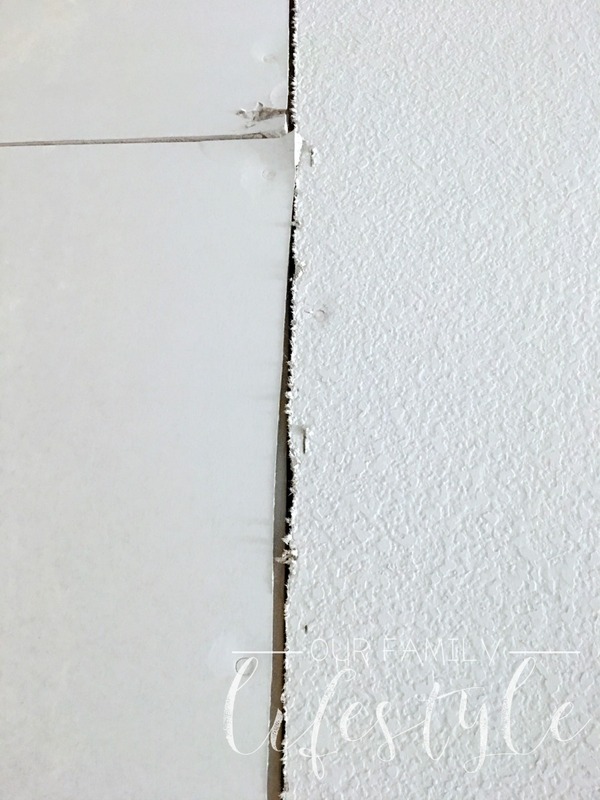 Sheetrock cannot lay flat on walls that are not level to begin with. Look for these red flags in your house. 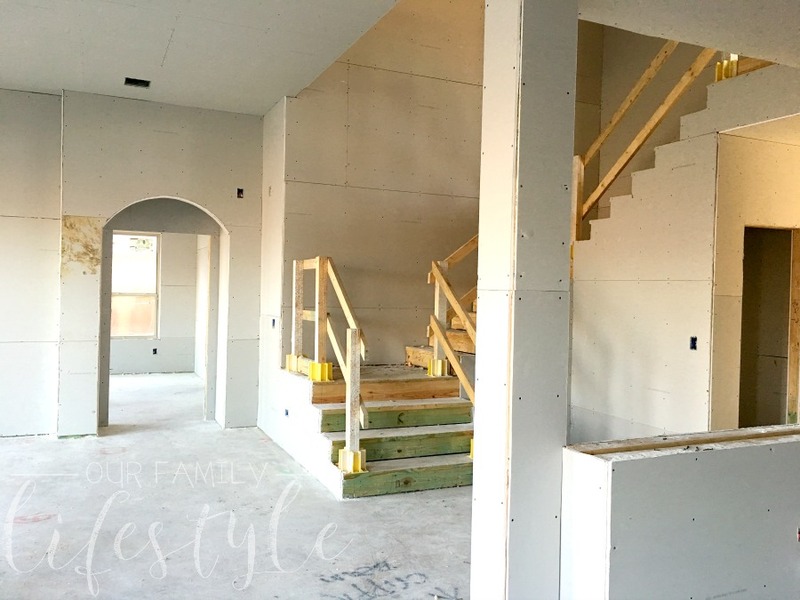 Speaking of sheetrock, these pieces of drywall will essentially make your house a home. If there are massive gaps where the sheets meet, this too will mess with the integrity of your wall. Not to mention, it lets in unnecessary weather elements, can be dangerous in case of a fire, and, let’s face it, looks tacky. Check your local building codes and don’t be afraid to mention something to your home builder. Are you having tile laid? Wood floors? Linoleum? Whichever way you go, walk every part of the floor and make sure it lines up square with the wall. Those gaps where it was cut too short or there’s grout missing leaves room for both insects and weather to seep in. Are there places in the floor that give when you walk across them? Stick up? Unlevel? These are all things that you should note as you walk through the house as it’s being built and tell the contractor about. I went to open a window in our master bedroom and it literally fell out in my hands. Literally. It seems it wasn’t framed right (see above) and caused everything to not fit properly. Plus, we had three sets of windows that had an inch gap above them. They were sitting flush with the window seat underneath them. Again. Framing gone wrong. Check every window and door. Open and close them several times. 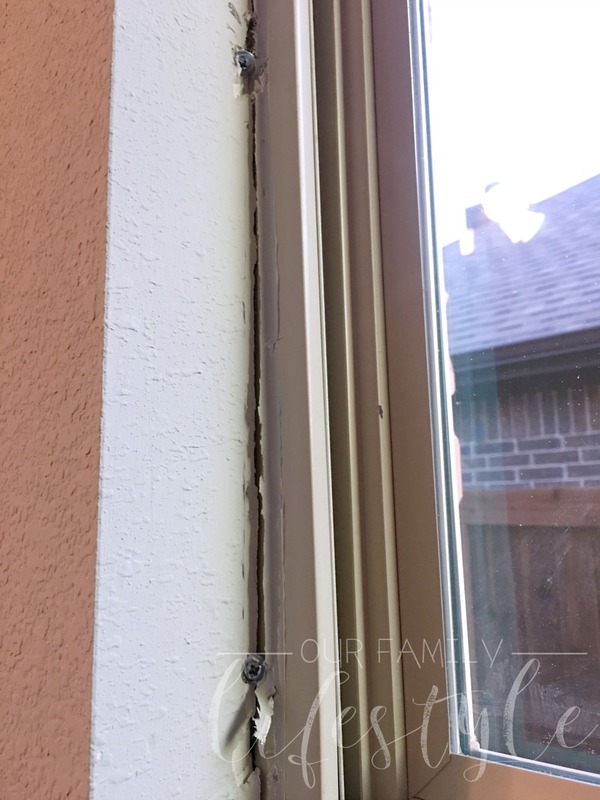 Then, check for proper caulking and weather stripping. Make sure they are hung properly and don’t hit anything when being used. Our home design consisted of several windows. I went around the house and opened every one after this one fell out. 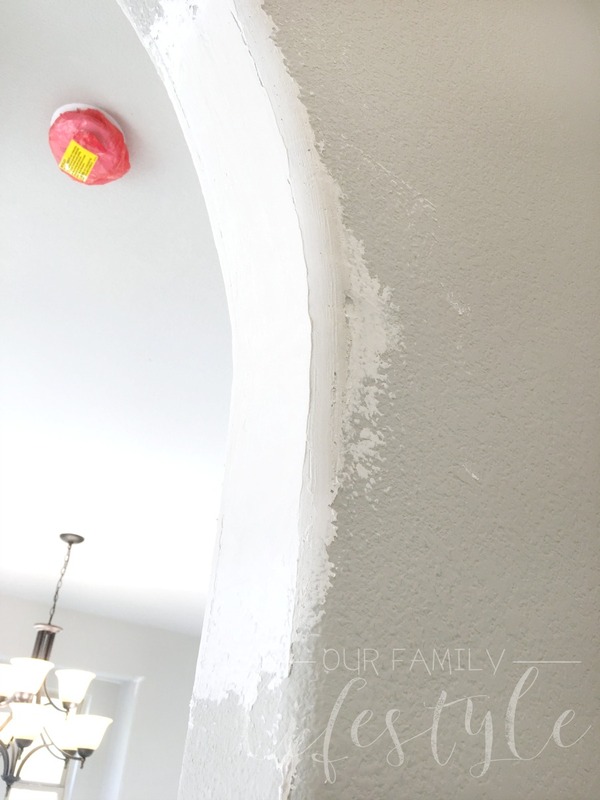 Within our home design, we have three arches inside our home and one out. Crazy enough, one of the biggest stressors was the craftsmanship of these arches. Again, this goes back to the framers and drywall crew. They only got one right and never could understand how to make the rest look like that one. Be adamant about making sure things are (at least) up to your standards. This was a fight we eventually quit fighting in order to speed up the process of building our house. Now your floor plan, look at the house building plans, and check the process along the way. The one piece we requested for our landscape package was Magnolia trees. 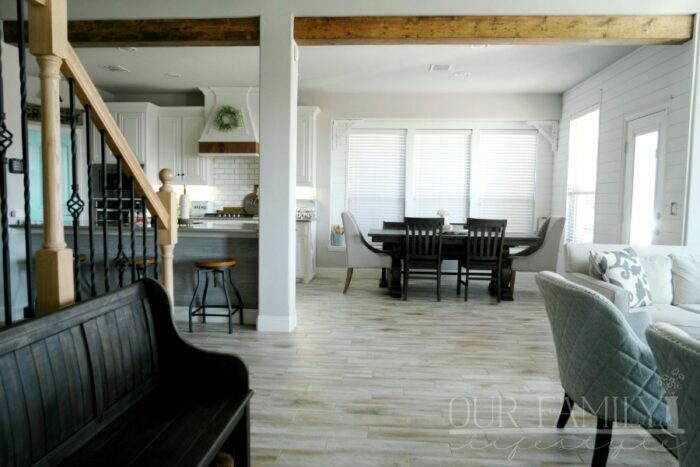 We only asked because we saw so many other homes in the neighborhood with them and thought since our Bloomfield Homes floor plan was called “Magnolia” it would be appropriate. We got the Magnolias. What we didn’t know was that we would also get 6 holly bushes. 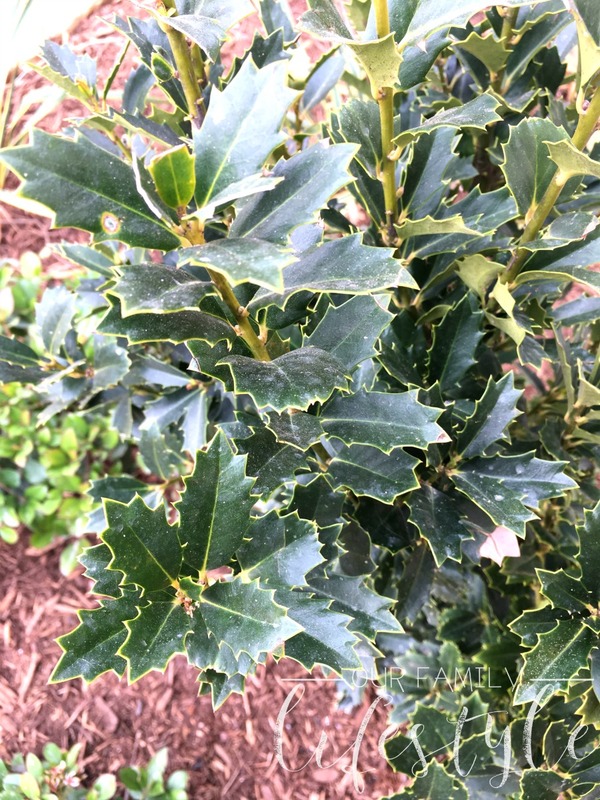 Do you know anything about holly bushes? They are pointy. As in, you walk by and they grab you. Do you know anything about kids? They walk by things and grab them. So, regardless of which way this plays out, I have a house full of kids and a yard full of holly bushes. We asked for them to be changed but were told it would be a $3,000 surcharge so we dropped it. We decided to yank them up as soon as we move in. Nevertheless, I think homeowners should have more selection in this process. If there’s a landscape package included with the building of your home, the least you can do is ask. 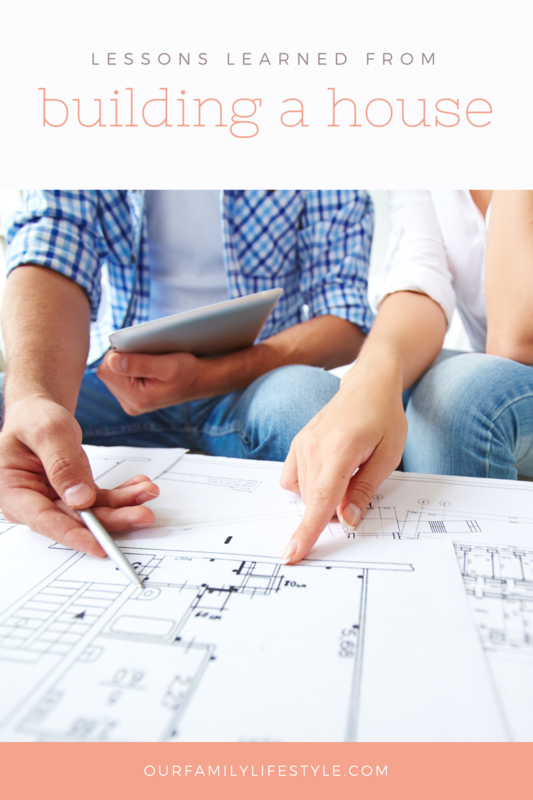 Stay in communication with your contractor. We visited so much that weekly calls between us, our Bloomfield sales consultant, and the contractor became necessary. We wanted to know how things were progressing because we refused to have the date moved… AGAIN. After all, we were already looking at moving a month from our original date, so we didn’t want to extend the date out any further. (In the end, we moved in at the end of March 2017. They tried to push us out another week and we said no. Our lease was up and we wanted to move into our new home). This was a dream house for our family and something Colby and I had worked very hard to make happen. 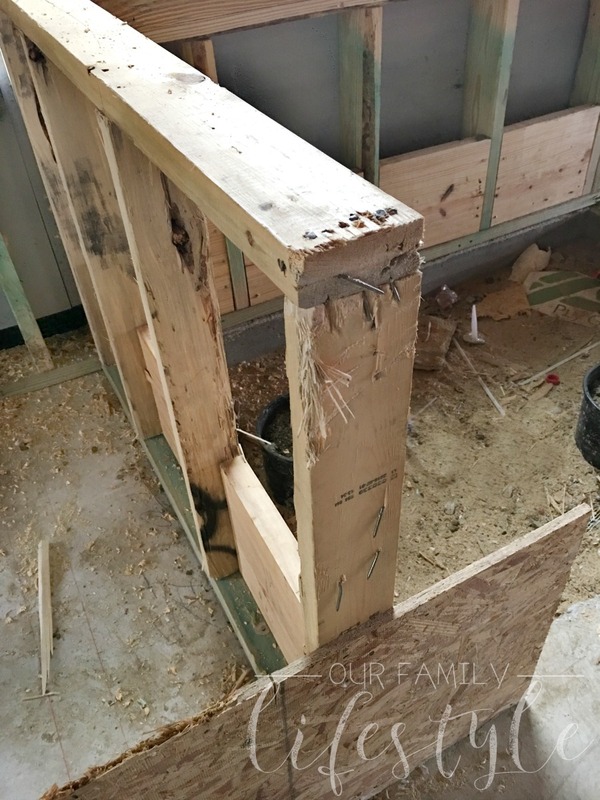 We wanted to give our family the best we could and this meant staying on top of how things were going during the process of building a house. 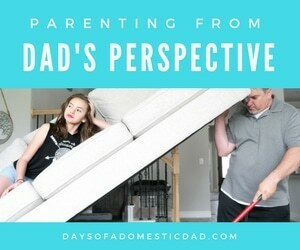 It was a frustrating process for us and I’m not sure I would do it again. It’s hard to not get overwhelmed but it pays off in the end. At least, I am hoping it all goes well once we get moved in next week! Of course, then there was the black mold incident three weeks late. Oy! 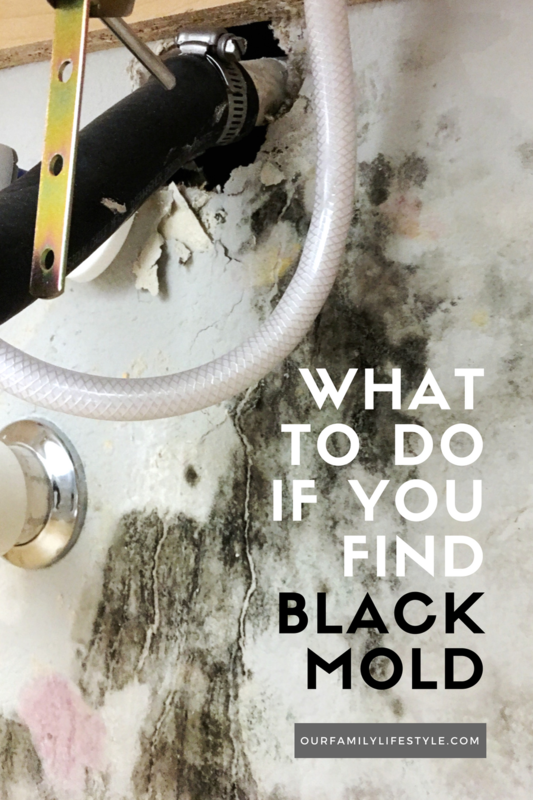 Make sure to read more about my thoughts on Bloomfield Homes at the end of the black mold post.